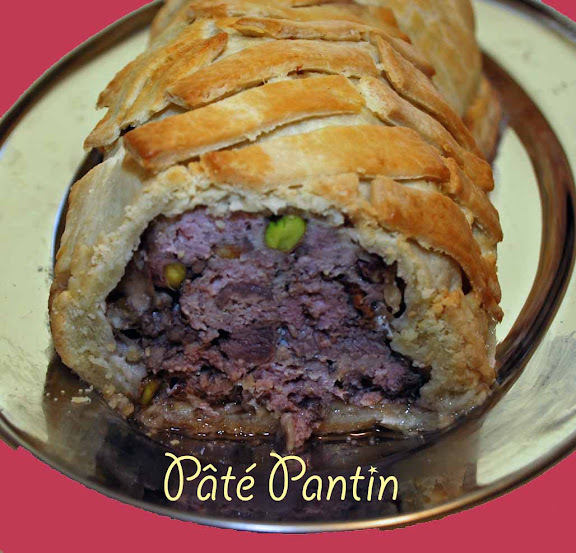 Pâté (pah-tay) Pantin is a small pork pastry. Pâté has never been something I’ve been interested in eating. The thought of eating liver sounds awful to me. So, it is with great trepidation that I attempt to make this. First some background. 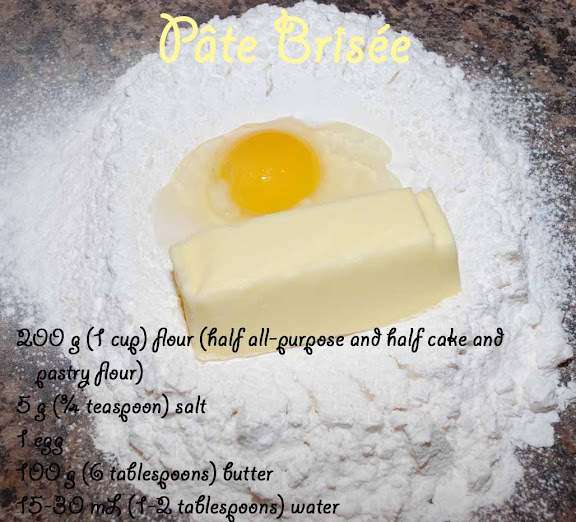 Pâté comes from the French word pâte, which means pastry or paste. It refers to a well-seasoned ground-meat dish that contains spices, and in most cases, brandy or some other alcoholic liquid, that can be either chunky or smooth. If cooked in a crust, it’s called pâté en croûte. If cooked in a terrine cooking dish, it’s called pâté en terrine. Julia Child called pâté "a luxurious cold meat loaf" (The French Chef Cookbook). However, to call pâté meatloaf seems sacrilege. You can also cook it without a mold. The best pâté has a complex range of distinct textures and flavors. 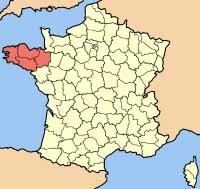 Pâté is a flagship product of Brittany, one of the 26 regions of France. It occupies a large peninsula in the northwest of the country, lying between the English Channel to the north and the Bay of Biscay to the south. A pâté can be made from one or more of the following base meats (called forcemeats): beef, chicken, duck, fish, goose, ham, lamb, liver, pheasant, pork, seafood, vegetables, or wild game. 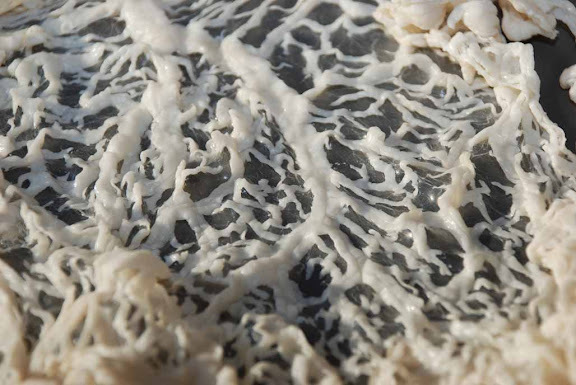 It is typically wrapped in caul fat (pronounced KAHL), which is the edible, lace-like fatty intestinal lining of an animal. As the pâté is roasted, the caul fat melts, bastes and flavours the pâté, and leaves a brown lacy texture on the top. What more could you ask from pig caul fat (which I guess is better than sheep caul fat)! Thin strips of bacon can be used as a substitute, and I've read that some chefs use cabbage or chard leaves instead. You can buy caul fat at some butcher shops and freeze it indefinitely. I used the same pâté brisée recipe as I did for the Flamiche. Measure the flour into a large mound on the counter. Make a well and add the salt, egg, and butter. Mix the ingredients in the well with your fingertips. Rub it in with your fingertips or pastry scraper until well blended. (The butter should not be too cold because then it will be too hard to rub in. However, it should not be too warm or soft because then it will make the pastry tough.) Add only enough water to bring the dough together. Knead the pastry very lightly (by pushing bits of dough away from you, which is called fraisage, or final blending). Wrap and chill in the refrigerator for about 30 minutes. You can grind the meats yourself, using the coarse blade of a meat grinder or a food processor. For the veal, if you buy 1¼ pound, save ½ pound for cutting into strips and grind the rest. 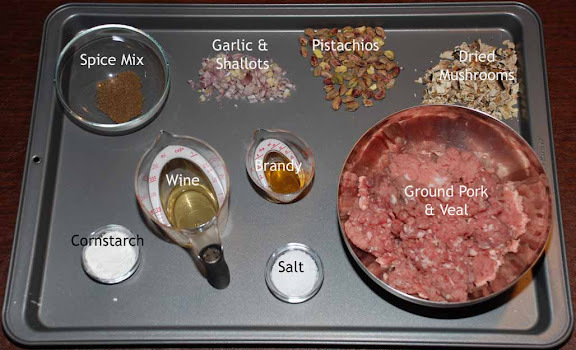 In a large mixing bowl, add the spice powder, garlic, shallots, mushroom pieces, pistachio nuts, white wine, cognac, cornstarch, and 1 tablespoon of salt to the meat and mix well. Slice the veal into long strips, about ½-inch thick. 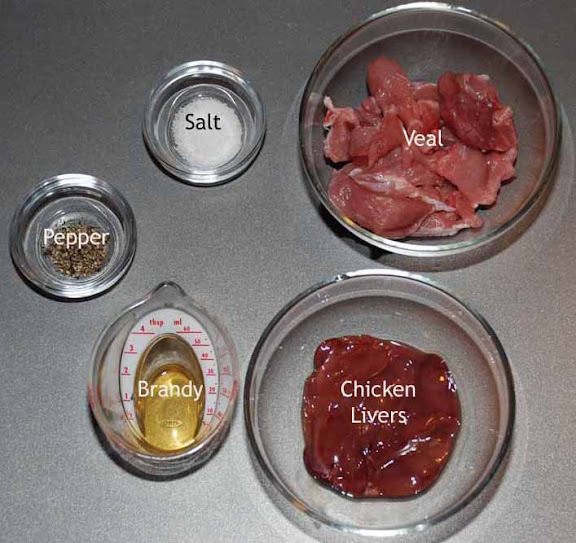 Put them in a bowl with the chicken livers, and mix with the 2 teaspoons of salt, pepper, and cognac. Cover tightly with plastic wrap and let sit in the refrigerator for at least 2 days, or as long as 5 days or a week. Divide the dough in two and roll each piece into rectangles. Carefully unfold the caul fat sheets (soften them in slightly warm water so that they don't break). 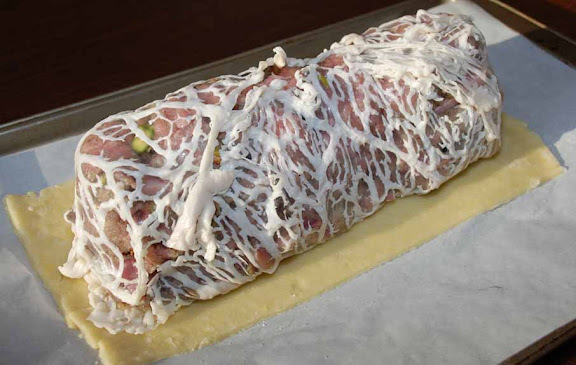 Lay the caul fat in a crisscross pattern on top of one of the pastry rectangles. Gently lay a third of the forcemeat on top of the caul fat to make an even layer about an inch thick. On top of the meat, arrange about half of the veal strips end to end, to form 2 evenly spaced rows. Press another layer of forcemeat about ½ inch thick, over the veal, and set the chicken livers in a long row down the middle, laying some of the ham strips end to end to form 2 rows on either side. Press half the remaining forcemeat over livers and ham. Make 2 rows of the remaining veal, with a row of the remaining ham in the middle. Press the rest of the forcemeat to cover the meat strips, shaping it to form a smooth loaf, mounded in the middle. Turn the overhanging caul fat to cover the pâté neatly. Trim off any excess. Place the bay leaves on top of the pâté, and sprinkle with thyme over the surface. Wrap the filling in the rest of the pastry, decorate it and brush it with egg glaze. Cover and refrigerate the pâté for ½ to 1 hour until firm. Bake the pâté until the pastry starts to brown, about 15-20 minutes. Lower the temperature to 350°F and continue baking until the internal temperature of the pâté registers 150°F to 155°F on a meat thermometer (about 30-45 minutes). The internal temperature will rise about 5 degrees after the pâté is removed from the oven. Allow the pâté to cool on a baking sheet for 5 minutes before serving. To serve, line a platter or individual plates with lettuce leaves and arrange the slices on top. Garnish with black olives and cornichons, and serve with Dijon-style mustard and crusty bread on the side. I'm still not a fan of liver. I think this would be wonderful without it. The spice on the meat was very tasty. Although the pastry was flaky and tender, as you can see from the picture, I still need to work on my pastry skills!